Lough Derg is the largest and one of the most beautiful of the lakes on the River Shannon. 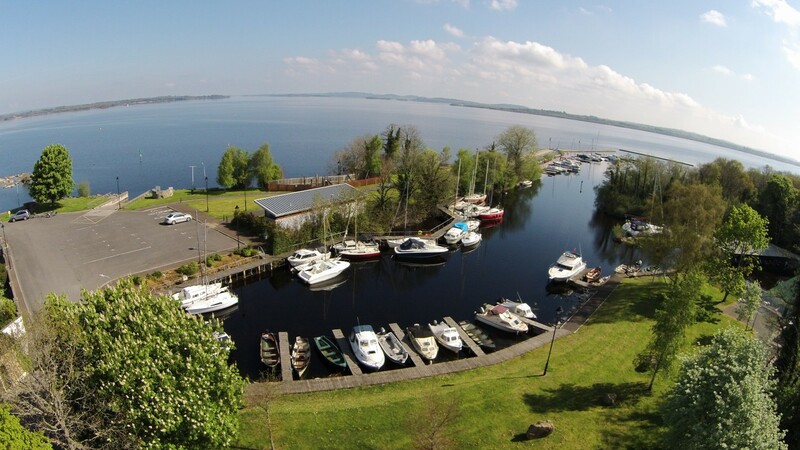 Explore this enchanting drive along the country roads that hug the shoreline of Lough Derg.Taking in Ballina/Killaloe, Ogonelloe, Mountshannon, Portumna, Terryglass, Dromineer, Nenagh, Portroe and returning to Ballina/Killaloe. A distance of 125km (78 miles), approximately. Don’t miss the chance to see the White Tailed Eagles at Mountshannon also. From here head for Portumna in Co. Galway on the northern edge of the lake. There’s a magnificent Forest park, Portumna Castle and Gardens, and an Irish Workhouse Centre open to visitors. Veer south and to the eastern shores to take in quaint Tipperary villages such as Terryglass, Puckane and Dromineer on the way to Nenagh, the largest town in the area. The last leg of the route returns via Portroe and Garrykennedy, a dramatic stretch of scenery with great viewing points before returning to the starting point of Killaloe/Ballina. Ballina/Killaloe is a hub of activity and has a wealth of history and heritage to offer. Spend an afternoon visiting the cafes, get on the River Shannon & Lough Derg with Spirit of Killaloe , visit the cathedral, wine and dine in Tuscany Bistro, Wood Brothers, Flanagan’s to mention a few. The varied landscape and interesting sights that surround the picturesque and magnificent lake and its hinterland are spread over its three neighbouring counties. What excitement and anticipation lies in store as you set out to discover the delights of this beautiful and unique area!